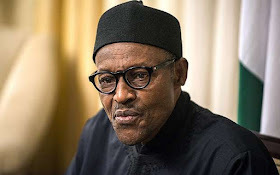 The Peoples Democratic Party, PDP, Wednesday urged Nigerians to stop President Muhammadu Buhari from borrowing $29.960b (over N10 trillion) for the execution of key programmes and infrastructural projects across the country. PDP also asked the National Assembly not to approve the request by the President. PDP said the President’s approach cannot be the preferred solution to the economic quagmire “created by the present government”. “This Government budgeted N6.07trn for the 2016 Fiscal Year with deficit of N2.22trn and according to the breakdown, N1.8trn was budgeted for Capital Expenditure and President Buhari is now seeking to borrow over N9trn ($29.960b) for ‘critical infrastructure’. “This is absurd and way outside the Government budgetary provisions for Capital Expenditure and must be rejected by all well-meaning Nigerians. “Nigerians will recall that the Minister of Information, Culture and Tourism, Alhaji Lai Mohammed in June 2016 made public through a press statement, an account of recovered looted funds between May 2015 to May 2016 amounting to the sums of N78.3b, $185.1m, £3.5m and €11,250m in cash; while others were under interim forfeiture. What happened to the recovered funds?